West Indies' move to replace Darren Bravo with Johnson Charles in their Cricket World Cup squad has been approved. 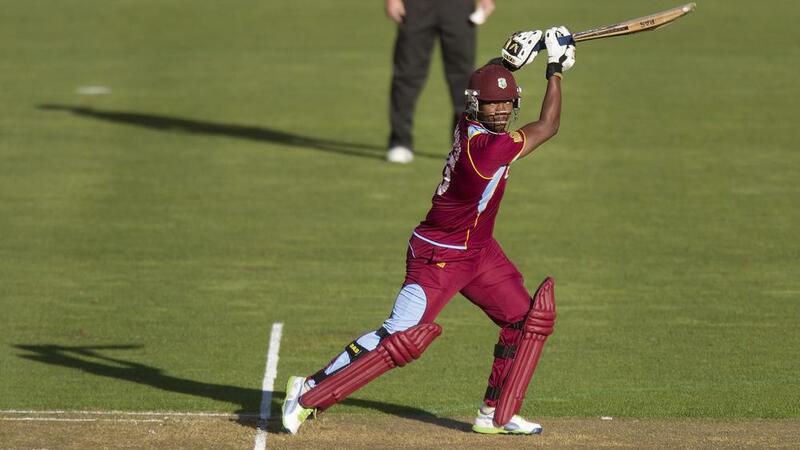 Johnson Charles will replace the injured Darren Bravo in West Indies' squad at the Cricket World Cup. The ICC confirmed the move had been approved, with Bravo having been ruled out of the remainder of the tournament after suffering a hamstring injury against Pakistan on February 21. The tournament's event technical committee was required to approve of the change as any injury or illness-based replacement needs a written submission to them, along with a diagnosis. Charles, 26, has played 30 one-day internationals, making 869 runs at an average of 28.96. He has made two centuries and two half-centuries and his last ODI was a match against New Zealand in January 2014. West Indies are fourth in Pool B after two wins and two losses in their opening four games, with their next outing against India on March 6.